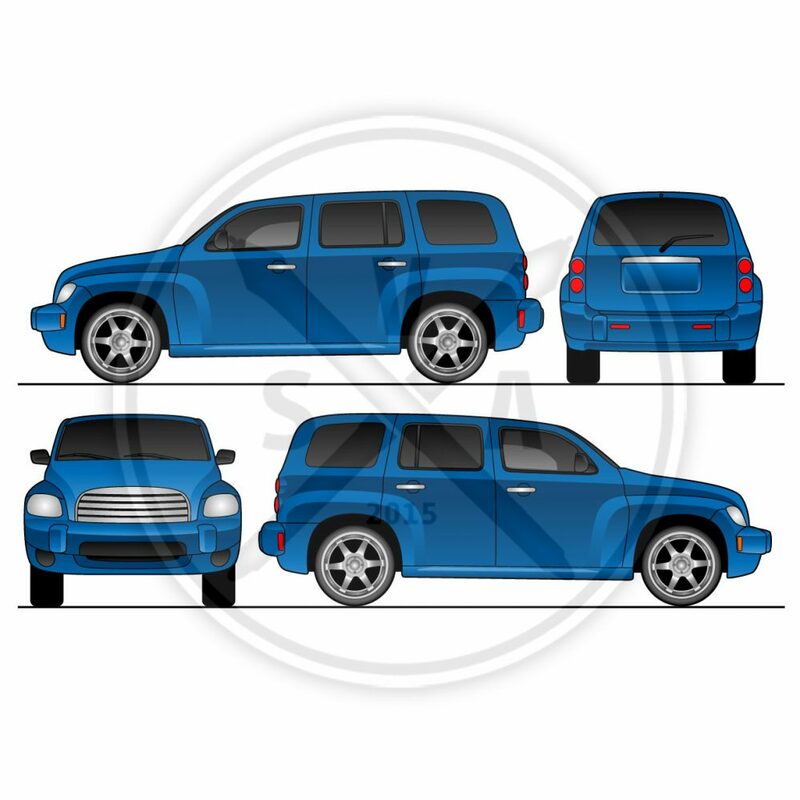 Blank vehicle outline of a Chev HHR for use as a template for vehicle branding and wraps. Layered and windows can be easily deleted. Not created for scale measurements – no real world measurements.